When Sam Warach '17 was a sophomore, he cofounded the UNH Entrepreneurship Club. In 2016, he was among four students to be the first to train as University Innovation Fellows. Last fall, Warach was part of a team that won a university-sponsored hackathon and went on to compete at the IBM Watson Conference in Las Vegas. Then, earlier this month, Warach and physics major Max Miller '20 took first place in the Paul J. Holloway Prize Competition for the development of their social messaging platform, Droppit. The win came with a $10,000 cash prize. “I've always been passionate about innovation and entrepreneurship.” Wararch says. Talk about an understatement: His latest project has him taking on the opioid crisis. “Winning the Holloway Competition was huge,” Warach says. “It’s going to make it possible to move forward with NextStep sooner than we’d thought." NextStep won the Holloway Competition’s $2,500 Marsh Award for the best-written business proposal. 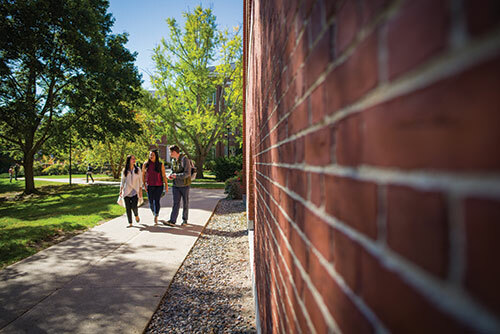 Explore the many ways you can support UNH at unh.edu/give/how-to-give. According to the Centers for Disease Control and Prevention, during the last five years there has been a 33 percent increase in illegal or prescription drug overdoses, with more than 52,000 deaths in 2016. New Hampshire has experienced the greatest increase, with nearly 500 deaths last year.